The 4th of July is quickly approaching. Everyone is making big plans on how to celebrate our nation’s Independence Day. People who know Sacramento know that it’s a great city to celebrate the 4th of July in. Wallethub.com recently compared America’s 100 largest cities and compiled a list ranking the best cities to celebrate the 4th. Sacramento ranked 19th out of 100! Wallethub.com used 14 different metrics to decide on their rankings. Metrics such as the duration of fireworks shows, average gas prices, the number of festivals and performances, weather forecasts and more. My favorite place to watch the festivities and fire works happens to be free. I like to watch on the east side of the tower bridge in Downtown Sacramento. Here are some other popular spots to watch the fireworks. 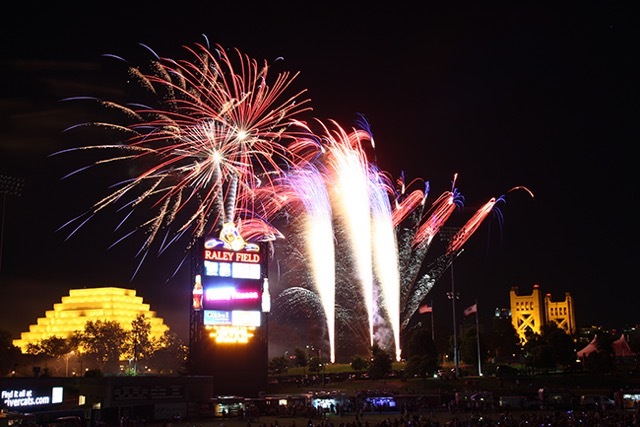 Cal Expo will join the City and County of Sacramento and CBS Radio to produce the largest-scale pyrotechnics display in the area on Saturday, July 4, 2015. 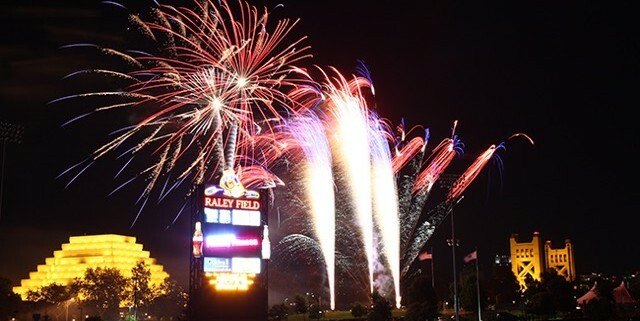 The FREE Independence Day Celebration is a family oriented collection of activities that takes place at the Miller Lite Racetrack Grandstand at Cal Expo. A limited number of $10 reserved seats are available for sale by clicking here. Doors open at 5:00 p.m. and the fireworks start at 9:30 p.m. While many spectators watch from the surrounding area, the best views are from inside the Grandstands. July 3-4, 4-11pm Friday, 12-11pm Saturday, Hagan Park, Rancho Cordova; $2 Admission, $10 parking. The largest Independence Day Festival in the area, located along the beautiful American River in Rancho Cordova. Over our two-day festival, we are expecting up to 20,000 people to drop by for plenty of All American food, music, fireworks and fun! 2 days of celebration start with a carnival, concert, BMX show, and a fireworks mini-show on July 3. A 5k and parade kick off the Fourth’s events, which also include carnival rides, booths, live music, Kids Zone! activities, and an impressive fireworks show at 9:45pm. And all this at Hagan Park’s ideal summer location on the river. More info at ranchocordovajuly4th.com. Mark your calendars for our 3rd Annual Fourth on the Field! Come out and celebrate the birth of our nation while bringing back the feel of a neighborhood block party with local food trucks lining the warning track, interactive games on the field, a kids area with fun games and inflatables for all ages, and live music! To cap the night, bring your blankets and grab a spot on the field as we present a spectacular show in the sky with fireworks synced to America’s favorite patriotic music. More info at raleyfield.com. Notable mentions include Old Sacramento, 55th Annual Folsom Pro Rodeo, and 14th Annual Spirit of Freedom 4th of July Parade. Real Property Management Select is proud to operate in Sacramento. RPM Select also has offices in Fairfield, CA and Concord, CA.